LOS ANGELES -- Even though she's a fashion designer, Erin Shannon Pennacchio is also a do-it-yourself expert. Her latest D.I.Y. 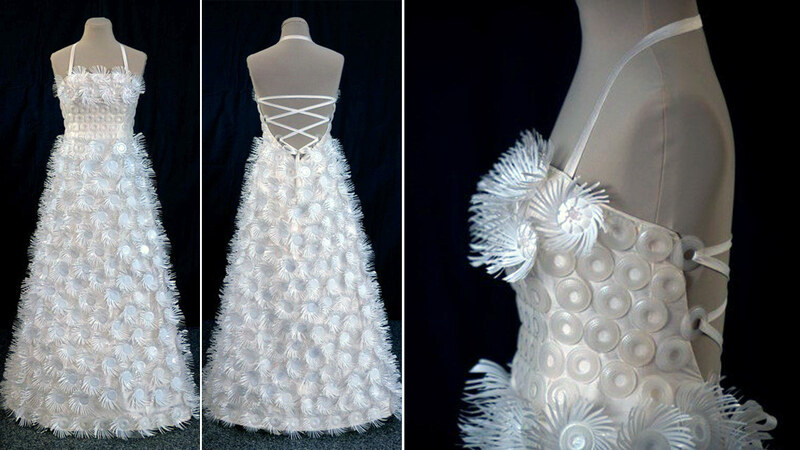 project was creating a wedding gown with more than 500 K-Cup pods used to make coffee in Keurig machines. Many of the K-Cup pods came from members of the ABC7 Eyewitness News newsroom in Los Angeles where Pennacchio collected donations. For the fancy bodice, she used filters that are in some of the cups. Erin called her handmade piece the first in line of "K-Cup Couture." She's already at work on the next piece and will be posting pictures on Pinterest. Just search for Erin Shannon Pennacchio or K Cup Couture.